Much of the Medicaid planning advice available focuses on protecting the assets of a spouse when their partner is in a nursing home or long-term care, but this isn’t particularly relevant to widow and widowers or seniors who are unmarried. Here’s some insight into how to plan for Medicaid benefits in these circumstances, from a leading elder law attorney in New Jersey. Here, the assistance of an elder law attorney is important because any missteps in your gifting strategy, especially during the critical 5-year look-back period, could easily leave a senior ineligible for Medicaid assistance for a significant period of time. Instead, you can invest in a different asset protection strategy that can help fund long-term care. For example, by purchasing an annuity, funds can be ensured to provide necessary care during the period where you are ineligible for Medicaid, preserving the much higher gift amount. Unlike gifts, some transfers are exempt from consideration or penalties during the look-back period, so it’s important to take full advantage of these exceptions. This can include starting a trust to support a disabled loved one or to fund a family member’s education, or to transfer the home into the name of a family caregiver. Again, these transfers have to be done correctly in order to ensure the most benefit without incurring any penalties. Just like some transfers are exempt from the look-back period, some purchases are also excluded when considering Medicaid eligibility. 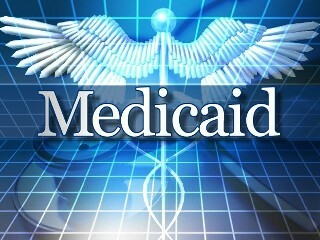 These can be used as part of a spend-down strategy to better qualify for Medicaid care. Examples of this type of asset include burial plots, vehicles and even medical equipment.